Looking for lively chamber music for your wedding or other event? Our repertoire ranges from traditional/classical to modern and fun. We do flexible combinations of cello, violin, viola, flute, and piano as quartet, trio, duo, or soloist. Experience matters, and my colleagues and I have played at hundreds of events across New England. Gary is a founding member of Artful Noise, a string quartet established in 1997. 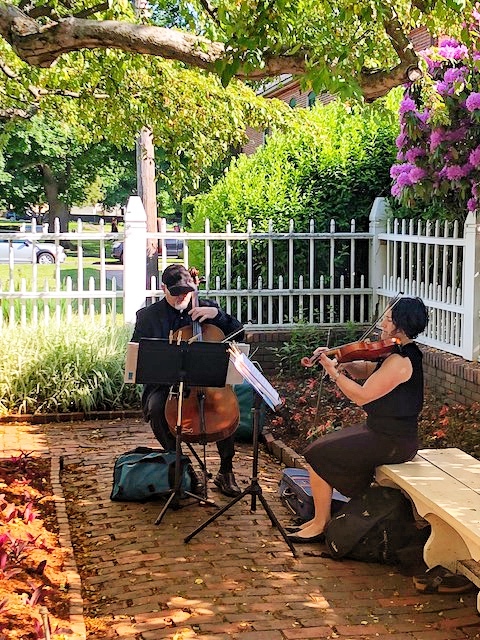 A highly experienced professional ensemble, the quartet performs at concerts, weddings, church services, summer concert series, and other special occasions all around New England. Gary coaches string ensembles throughout New England and offers private music instruction at his Amherst and Concord, New Hampshire, studios. Book us for your special event! 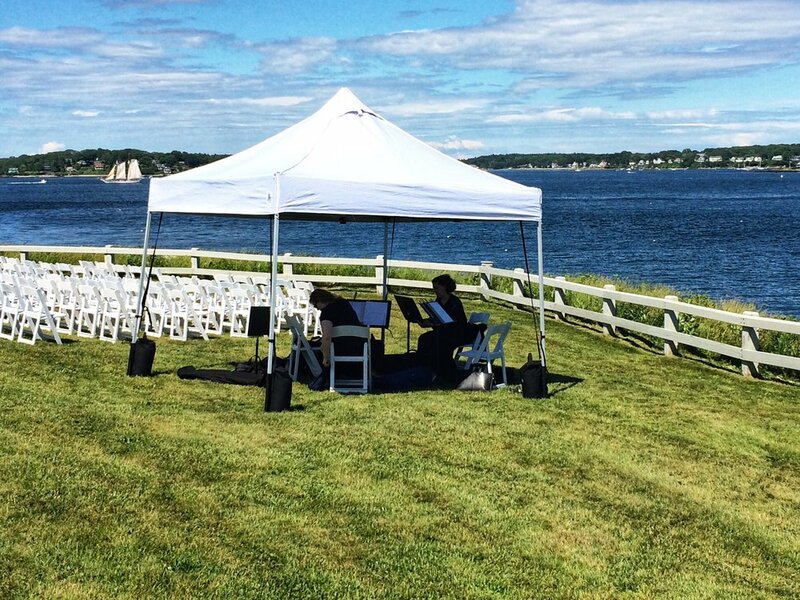 My colleagues and I have years of experience performing at weddings, cocktail hours, receptions, holiday parties, anniversaries, concerts, and corporate functions throughout New England. We offer flexible combinations of cello, violin, viola, flute, and piano as quartet, trio, duo, or soloist. Consider having us perform at your special event! Elegant, romantic, traditional, or fun, we can help set the mood for your big day. Quotes: Contact me to get in touch with general details about your event, such as date, type of event, time, and location. I will give you a call to discuss options and provide a quote. Booking: I will send you a contract. A 50% deposit is due upon signing. This will lock in your reservation with us. The remainder of the balance will be due 2 weeks before the event. We usually do not need to meet in person before the event. The contract and the details of planning and choosing music can be handled conveniently by phone and email. 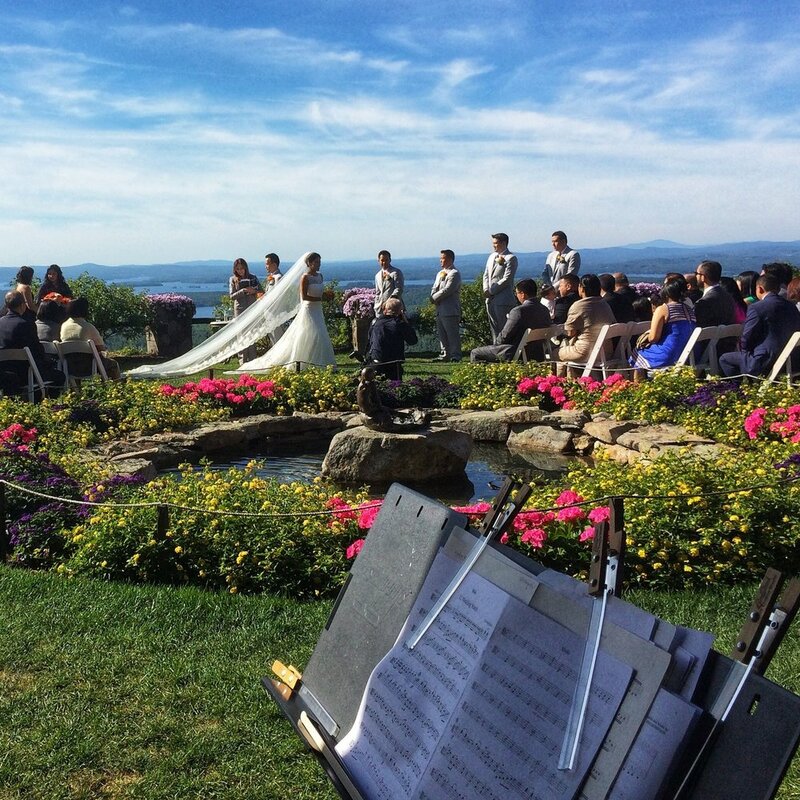 Our fee for a wedding ceremony includes 30 minutes of prelude music while your guests are entering and waiting for the ceremony to begin; processionals for the mothers, bridal party, and bride; any meditations you’d like during the ceremony; a recessional; and postlude music played as your guests are exiting the ceremony site. For an additional fee, we can play for cocktail hour or beyond. Generally we arrive about 30 minutes before prelude music begins. This is to make sure we discuss ceremony logistics and cues with your wedding planner and/or officiant, have time for set up, and are ready to play. We do not usually play at the wedding rehearsal. Generally, we have found that the only rehearsing that may need to be done is if you would like us to accompany a singer for a special song. This can be arranged for right before the ceremony. We will work with you to choose specific pieces of music for ceremony processionals, meditations, and recessionals. We have lots of ideas and experience, an extensive repertoire, and can provide suggestions if you would like. You can also just let us know a general “vibe” that you’d like, such as “upbeat and classical,” “fun,” or “meditative” and we can choose pieces that go with that sentiment. We are glad to accompany a featured singer or musician, if you have one. There may be an extra fee if we have to purchase new music and arrange it for the group. We can arrange a short rehearsal right before the ceremony to ensure everything goes smoothly. Location: We often play outside, but we do need protection from direct sunlight, precipitation of any kind, strong winds, and cold/heat. This can be a covered porch, tent, or gazebo. We always advise having a backup plan in case it rains. Our instruments are very valuable and can be damaged quite easily. We do have a small white tent that we will gladly bring for an additional transportation and setup fee. Attire: We will wear concert black unless otherwise instructed.